In his first ever appearance at Ausdeck Patios Archerfield Speedway and in his first year as a World Series contracted driver, Victorian young gun Rusty Hickman has etched his name into the record books with a win in the Titan Garages Sprintcar Australian Open Preliminary Feature Race on Friday night (December 4). Jamie Veal finished in second spot in advance of James McFadden, who put in a mighty run to snare third after starting 17th. Donny Schatz and Jessie Attard rounded out the top five ahead of Steven Lines and Australian champion Kerry Madsen, who also advanced from deep in the field. In the Polar Ice Midget feature race, Darren Vine advanced from position 10 before fighting off a feisty Rusty Whittaker through some frantic final laps to win the Stan Burrow Stampede. Glenn Wright finished third ahead of Brad Harrison, Scott Doyle and Charlie Brown, who surged back to the front after an early spin. With heavy rainfall overnight, a challenging track was inevitable and several of the fancied contenders found themselves languishing low on the time sheets. Of the 38 cars that raced the clock, it was Jye OKeefe who best mastered the conditions to set Revolution Racegear Fast Time with 12.059. Attard (12.199), Luke Oldfield (12.288), Hickman (12.269) and Andrew Corbet (12.371) were next quickest, with Jack Lee, Veal, Logan Schuchart, Schatz and McFadden rounding out the top ten. Brent Aprile got the heat race program underway with a solid win in the first preliminary, leading home Mitchell Wormall and Danny Reidy, while Kevin Titman became the first to strike trouble when he whacked the wall in turn two on the opening lap. Peter Lack pounced from the outside front row to run away from the field in heat two, downing Jason Pryde and Tony Wynne, while Corbets qualifying heroics came to nothing when he rolled out of the race on lap three. The third heat only got as far as turn two before Andrew Scheuerle inverted after being squeezed for room by Brooke Tatnell. There was an abundance of youth in the final results with Mitchell Gee clinching the win over Jock Goodyer, Jayden Peacock and Ryan McNamara. Titman bounced back to win heat four over Reidy and Danny Porter, another who was making his Archerfield debut. Wormall wiped out in heat five, flipping in turn three and landing atop Aprile, whose run of misfortune continued as Scheuerle returned after repairs to prevail ahead of Peacock and Oldfield, whose outside charge from 10th made a mockery of those claiming the track was one-lane. McNamara held firm at the front to win an action-packed final heat, leading Goodyer and Lines to the flag. Gee was the first casualty when he rode a wheel through turn two and crashed out, while Corbet achieved a rare feat when he rolled again, this time in the main straight. With Madsen, McFadden, Tatnell and Lack occupying the first two rows of the grid, the B Main proved an exercise in futility for the remainder of the field as the quartet raced away to secure their advancement into the main event. It was Oldfield who shot to the front at the commencement of feature race hostilities, leading Attard, Hickman and OKeefe through the opening laps. Oldfield remained in control until a power steering failure sent him backsliding through the field and elevated Hickman into the lead. Veal slotted into second spot ahead of McFadden, whose speed was remarkable as he sliced through the field to secure a place on the podium. Schatz finished fourth ahead of Attard, whose willingness to travel and take on different tracks is starting to reap rewards, with Steven Lines enjoying another solid result in sixth. Madsen, Logan Schuchart, Tatnell and OKeefe were next in line as Oldfield battled to stay afloat, eventually sinking to 16th behind Carson Macedo, Lachlan McHugh, Lack, Goodyer and Reidy. The opening Midget heat saw rookie Bodie Smith upstage the field to take the race ahead of Brad Dawson and Mitchell Rooke, with Vine heading infield before a lap was completed. Riki Harrison prevailed in heat two as Tom Clauss who edged out Wright by the narrowest possible margin for second spot, with Rooke outpacing Whittaker and Wright in heat three. Scott Doyle looked to have the final heat wrapped up until a mistake in turn two on the final lap enabled Vine to pounce and take the race. Brown finished third in a race that saw Clauss, Brad Dawson and Audie Malt get upside down in a turn three incident. In the the 20-lap Polar Ice Stan Burrow Stampede feature race, Rooke jumped clear to lead the field through the first ten laps until Vine surged to the front on lap 10. When Rooke exited on lap 13, Whittaker moved in to second spot and closed in on Vine, albeit to no avail. Having moved ahead of Whittaker early in proceedings, Wright wrangled third ahead of Harrison and Doyle, while Brown stormed back to salvage sixth, leaving Riki Harrison, Jason Bell, Nathan Mathers and Audie Malt to round out the top ten. Sean Iacono won two Lightning Sprint heats and Michael Gollagher the other, but with Iacono exiting the feature after just one lap, Gollagher seized the moment and fended off the best advances from Keith Blatch to take the race. Queensland champ Jason Rae was only good enough for third on this occasion, with Scott Jukes and Andrew Sparks the best of the rest. Junior Formula 500 success was shared around, with Taylor Morgan, Jy Corbet and Taylor Prosser all recording wins. 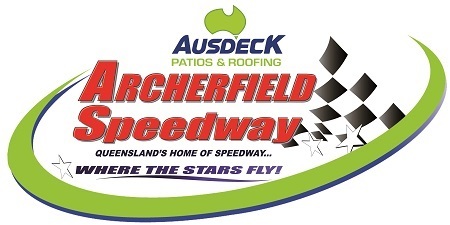 The Titan Garages WSS Australian Sprintcar Open continues tonight (January 5) at Ausdeck Patios Archerfield Speedway.